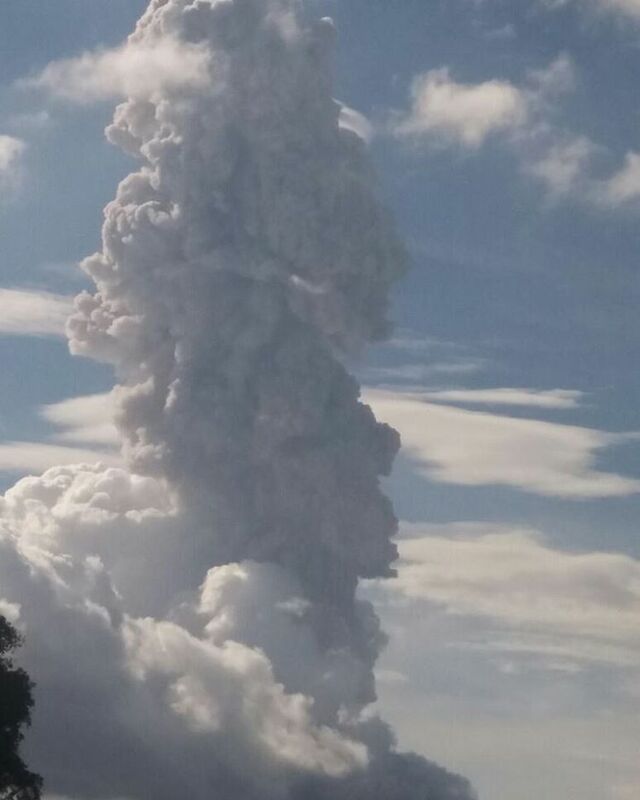 A powerful explosion occurred on the Indonesian volcano Sinabung and above the crater of the volcano rose a column of ash up to 5 kilometers. 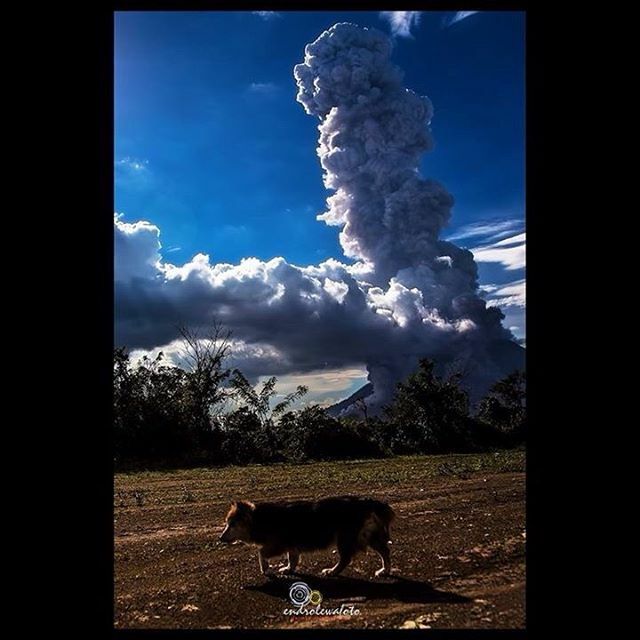 On the southern slope of the volcano came a pyroclastic flow that swept everything in its path at a distance of 3 kilometers. 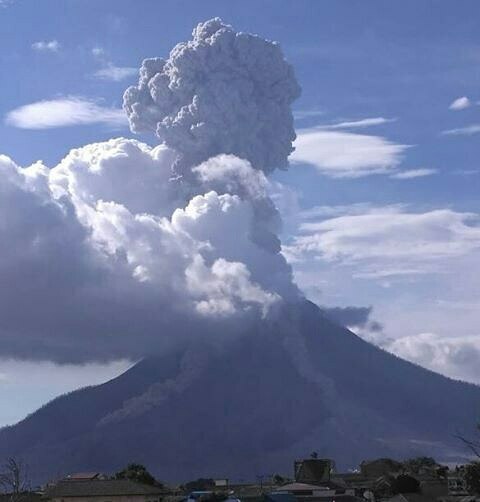 On the southeastern slope, also recorded the gathering of a pyroclastic flow, extending up to a mile. Lava dome of the volcano is completely destroyed, and in place of the cone gaping huge crater. 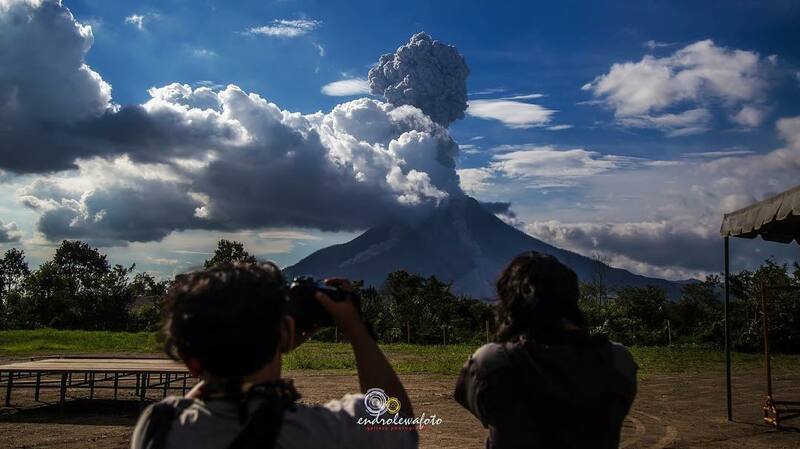 Volcano Sinabung located on the island of Sumatra in Indonesia.